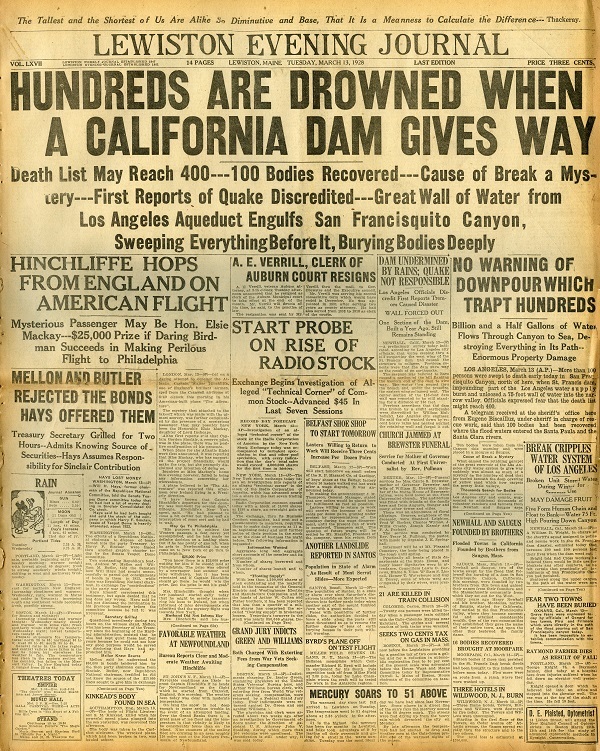 LOS ANGELES (CN) – After the 1906 San Francisco earthquake and fire, the failure of the Saint Francis Dam is the second largest disaster in California history. Fifty miles north of Los Angeles there are traces of a tragedy that took 431 lives. Blink as you drive up through the winding road parallel to the dam site and you might just miss them. 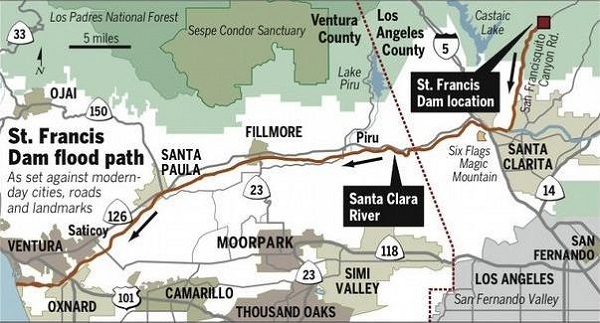 Saint Francis Dam Flood path. Nestled in a canyon is a solid hunk of ridged concrete that looks like some Spielbergian vision dropped from the sky by an alien mothership in “Close Encounters of the Third Kind.” From the roadside and to the untrained eye, however, the section looks like a boulder – just another part of the arid landscape. 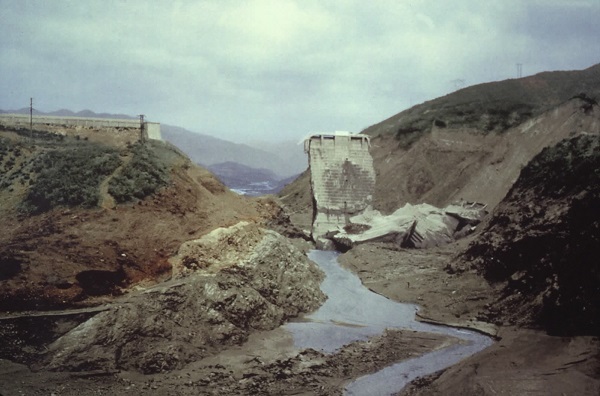 The hunk of concrete is a grim reminder of when disaster struck a little before midnight on March 12, 1928: The Saint Francis Dam burst and dropped 12.4 billion gallons of water into the San Francisquito Canyon. 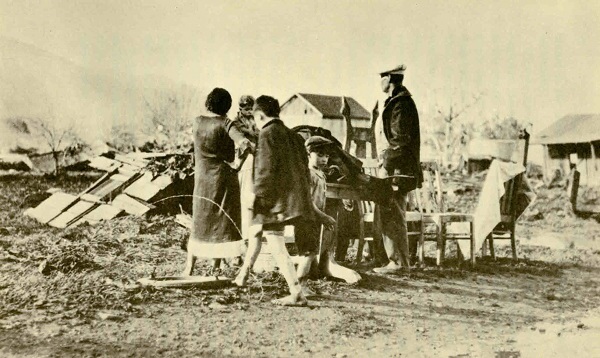 The resulting flood tore through homes, ranches and bridges, gobbling up men, women and children. Environmental activist Dianne Erskine-Hellrigel of the Community Hiking Club is animated as she imagines what happened to this section of the dam. Wearing a stars-and-stripes T-shirt, a woven hat and jeans, she motions like a ballerina as she imagines the wall of water sweeping the 20-ton hunk of concrete a mile downstream. “I imagine, it got its push out on to the stage, and it did a few tour jetés along the way, swaying with the music, and then it reached to this corner, and it did a nice little turn and came over into the creek, and it hit this spot and it did its ﬁnal plié,” she said during a tour of the dam in July. Once upon a time, there was a conspicuous standing section of the dam called the “tombstone.” But officials dynamited it and jackhammered the Western Wing Dike. The official explanation was that the tombstone presented a safety hazard – a boy had plunged from the ruins to his death after his friend threw a snake at him in a childhood prank (to this day, no one is sure if the snake was dead or alive). One theory is that officials were happy to erase the most prominent remaining section of the dam and all memory of a disaster that left a dark blot on LA’s history. Whether by design or not, over time it worked. Despite the tremendous loss of life, the disaster remains largely forgotten. 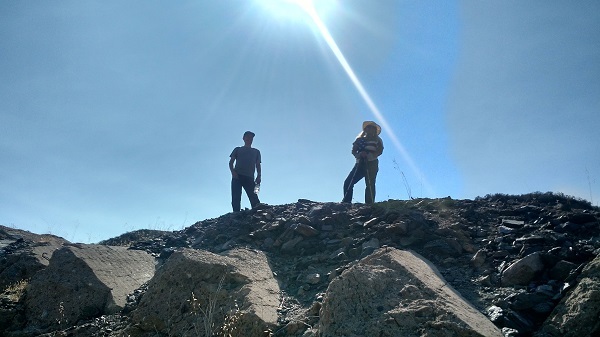 Now, Pollack and Erskine-Hellrigel want to make sure this vital part of California history is not forgotten. The two friends have worked tirelessly behind the scenes to craft legislation to place a memorial at the location of the dam. In July, their efforts paid off when the U.S. House of Representatives unanimously passed H.R. 2156, The Saint Francis Dam Disaster National Memorial Act. U.S. Reps. Steve Knight and Julia Brownley introduced the bill. This is the fourth time a Saint Francis Memorial bill has been before lawmakers. Two bills never got past the House because of provisions to protect wilderness. Last year, a third bill unanimously passed the House but foundered in the Senate. This time, Pollack and Erskine-Hellrigel hope they are successful. They make an odd couple. Exuding flamboyant charm, Erskine-Hellrigel is equally adept at discussing the history of the Saint Francis Dam, or snapping off a piece of California sagebrush and explaining how cowboys once used it as an ersatz deodorant before they got drunk in saloons and slept with women. Pollack is more reserved. His eyes glimmer as he explains how the dam disaster is a quintessential Los Angeles story. Gangly behind his gray Nike T-shirt and dark jeans, he spoke in a calm, even tone, conscious of the vast sweep of this piece of California history. The friends frequently overlap and interrupt each other, and as the day wore on there were hints they were getting on each other’s nerves. But their shared passion for the project is evident: While Pollack provides the vision, Erskine-Hellrigel works out the details. Pollack’s light-bulb moment came when he was in Pittsburgh for a medical convention. He visited Johnstown, Pennsylvania – the site of the worst dam disaster in American history – with his friend Dr. Kenneth Ackerman. The dam broke in 1889, and more than 2,000 people perished. “At the site of Johnstown, it’s a national memorial. It’s got a visitor’s center run by the National Park Service with a museum, documentary films, rangers – the whole nine yards. And what do we have here at the Saint Francis Dam after 90 years? Absolutely nothing,” Pollack said. Pollack knew he wanted to fight for a similar memorial. But there was one problem. When it came to crafting legislation or pushing a bill through Congress, he had no idea where to start. Depending on who you ask, the pair met through a mutual friend or on Facebook. Erskine-Hellrigel was wary at first. When Pollack asked her to get involved, she was already working on seven different pieces of legislation. “I thought about it, and I started investigating the story, started learning more about the people that died here and their stories. I knew that this was something I had to do,” Erskine-Hellrigel said. The story also resonated because she recalled how her mother had taken her to the canyon when she was six. The trip stuck in her memory because her mother told her she had visited for the first time when she was the same age. They estimate the memorial will cost $20 million. If signed into law, the U.S. Forest Service would manage the 440 acres site which would include a visitor center, educational facilities and a memorial wall to honor the victims. Since they are not seeking appropriations, Pollack said they will set up a tax-exempt foundation to solicit funding from the public and LA-area corporations. After the passage of the bill, Rep. Knight described how the fight for a memorial was an “ongoing effort” to create a tribute to the many people who lost their lives. “Santa Clarita Valley has never forgotten this tragedy and recognition, on a national scale, is greatly appreciated. Families of those lost will know their loved one is not forgotten,” Knight said in a statement. 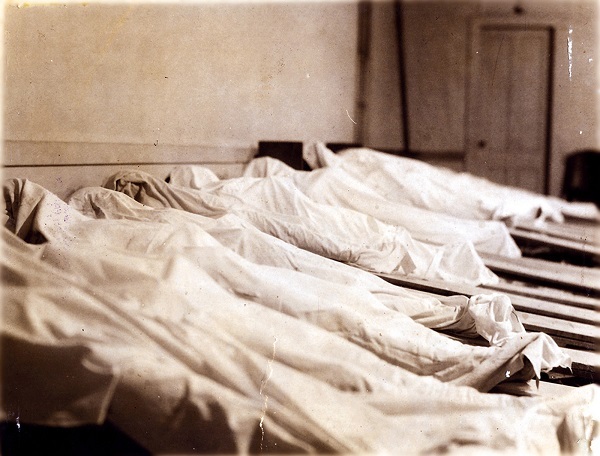 The Saint Francis Dam disaster was not just notable for the loss of life. It’s America’s largest civil engineering failure of the 20th century. Dam keeper Tony Harnischfeger spotted several leaks on the right side of the dam in the weeks leading up to the disaster. On the morning of the collapse, he saw water pouring from the same part of the structure. The muddy runoff signaled to the dam keeper that something was very wrong. He contacted the dam’s engineer William Mulholland, who arrived with his assistant Harvey Van Norman. But after an inspection, they saw no immediate cause for concern and headed back to Los Angeles. Harnischfeger, his young son Coder, and girlfriend Leona Johnson were the first to perish when the wall of water swept through their cottage directly below the dam. David Rogers, a geological engineering professor at the Missouri University of Science and Technology, has been studying the Saint Francis Dam for 40 years. 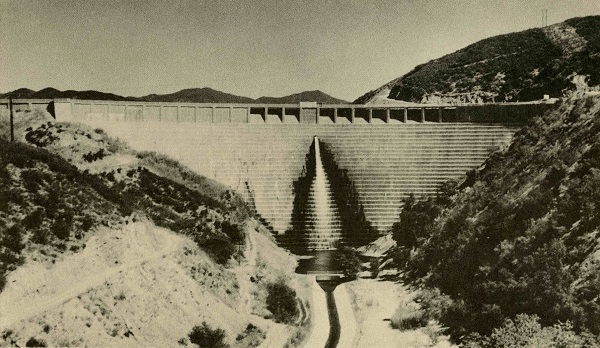 He said that there are multiple reasons for the dam’s failure, which was built between 1924 and 1926, and based on Mulholland’s earlier Hollywood Dam. Rogers said that Mulholland’s decision to plug tension cracks on the downstream face of the dam was probably the biggest contributing factor. Money drove the engineer’s thinking. Water was Los Angeles’ “lifeblood” and of great value, Rogers said. “Mulholland’s goal was to save precious water being lost through the cracks, but caulking the fissures with oakum on the downstream face served to trap reservoir water pressure within the dam itself, a potentially catastrophic situation because it would have hastened internal instability,” Rogers wrote in the paper. An ancient bedrock landslide on the left side of the dam was also reactivated after the dam reached capacity and water saturated the hillside. A nearly mythological figure, Mulholland spurred Los Angeles’ growth with the creation of the LA Aqueduct. But the Saint Francis Dam disaster devastated him and ended his career at the City of Los Angeles Bureau of Water Works and Supply, where he was chief engineer and general manager. A coroner’s jury cleared Mulholland of any crime, but the incident hastened his decline. “About a year after the disaster, he resigned his position as the chief of the Bureau of Waterworks and Supply and mostly was in seclusion for the rest of his life. He died in 1935. He was a broken man at that time,” Pollack said. 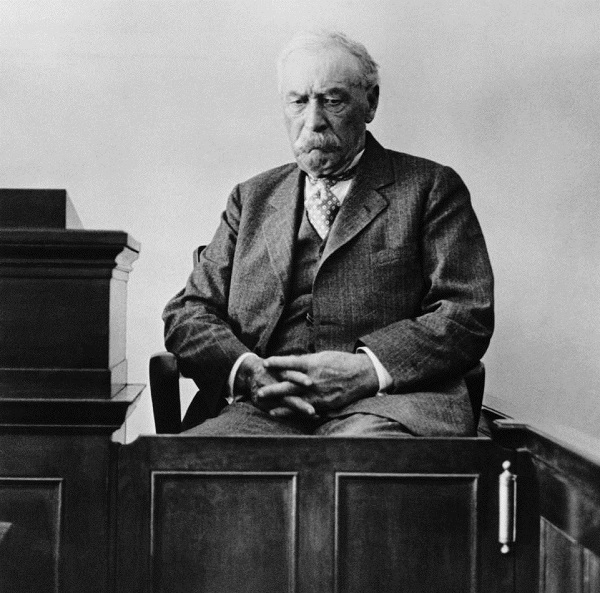 A sepia-tinged photograph of Mulholland testifying in March 1928 hints at the enormous toll the disaster took on him. His fingers are interlaced, his eyes are dull, his brow knotted and mouth turned downward. During his testimony, Mulholland took full responsibility for the failure. “Don’t blame anyone else, you just fasten it on me. If there was an error in human judgment, I was the human,” he said. Pollack said Mulholland’s venerated status in LA sowed the seeds for disaster, as he was allowed to build the dam with little supervision. “Because of this disaster, legislation was passed after that to increase oversight of dam safety and so millions of people that lived below dams today are much safer because of the effect of this disaster here,” Pollack said. But “he used city employees. He didn’t hire things out. He didn’t use consulting engineers. He didn’t go out and solicit peer review of anything he did. Those are some of the great lessons that came out of the failure,” Rogers said. After nine decades, Pollack says it is time to pay tribute to the victims. “I think it’s about time we pay them the homage that they deserve. 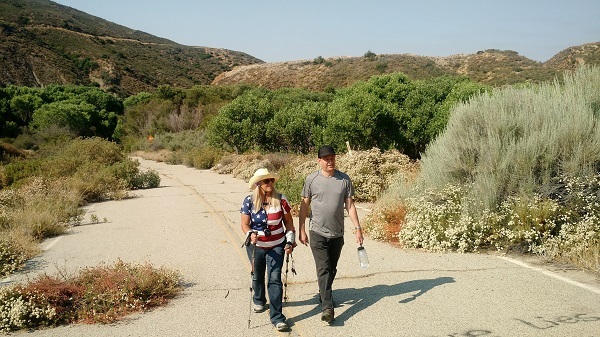 I think in doing that we bring a real treasure to Los Angeles – this national memorial – and we all leave a legacy to future generations that can learn about what happened there at this site in 1928 and hopefully don’t make the same mistakes in the future,” Pollack said in a phone interview. Despite her initial wariness, Erskine-Hellrigel says that the legislation is now the most important thing that she’s working on and that the disaster, its victims and their families deserve recognition. On July 12, the Senate received the bill and referred it to the Committee on Energy and Natural Resource. Late last month, Erskine-Hellrigel and Pollack traveled to Washington to meet aides for Sens. Kamala Harris and Dianne Feinstein. They hope that the senators will co-sponsor the bill. Rep. Knight did not immediately respond to requests for comment for this article.